"What is your vision for your children 10 years later? 20 years later? 40 years later?" Respectful, kind, confident, independent. These were some of my thoughts when Ms Julia Gabriel asked us to close our eyes and think about this question. 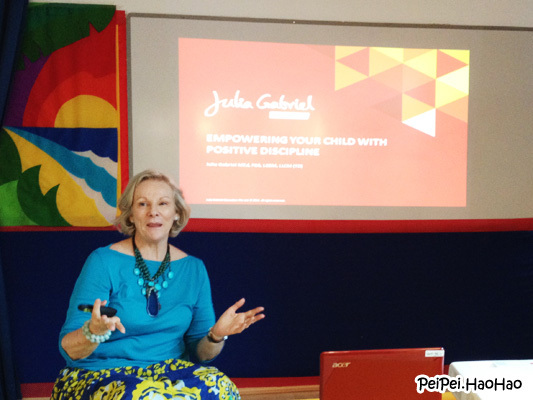 At Julia Gabriel Positive Parenting Series Workshop on "Empowering Your Child with Positive Discipline", DaDi and I reflected about our parenting style, and have learnt some tips on positive discipline for our children. 1. Acknowledge and encourage your children's efforts instead of praising their achievements. We may encourage our children by saying "I really appreciate that you ...", "You worked really hard to ...". 2. Aim for Cooperation rather than Obedience. 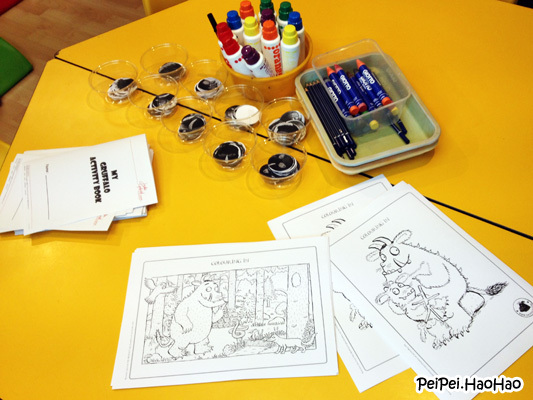 Offer children choices within reasonable limits, so as to promote self-responsibility and mutual respect. For example, instead of ordering the children "Go to bed now! ", we might ask "Would you like to brush your teeth first, or change into your pyjama first?" 3. Use positive language "Yes" rather than "No". 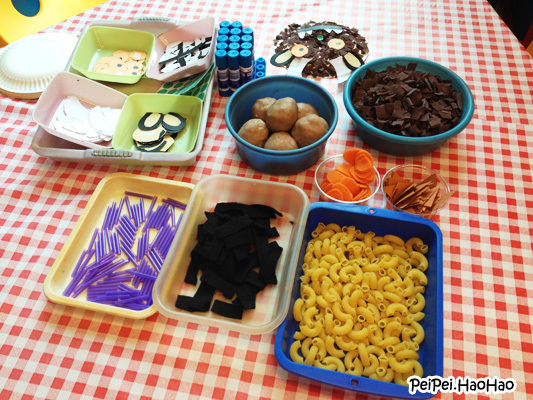 For example, "Yes, you can go out to play, after you have put the toys away." 4. When the children fight with their siblings, guide them resolve their conflict (this is applicable when the children are older). We may use questions like "What happened? How do you feel when ....? What would you do if ...?" to guide them to resolve their conflict. I have to put in conscious effort in controlling my own temperament and in improving my way to communicate with my children. It is not easy, but I am willing to learn and grow together with my children. On a side note, one thing I like about this parenting workshop is that while the parents were attending the workshop, our children were engaged in story-telling and other educational activities in the other side of the room. If you are interested in Julia Gabriel Positive Parenting Series, do check out their website! Disclaimer: We were invited to attend the parenting workshop. No monetary compensation was received. All opinions and photos are mine.